Teeth are made up of a combination of hard and soft tissue. You may not think of teeth as living, but healthy teeth are alive. When the nerves in the pulp of the tooth, which is the inner layer, become damaged, such as by injury or decay, they can stop providing blood to the tooth. That can cause an infection and cause the nerve to die. This is also sometimes known as a non-vital tooth. Read on to learn how to identify a dead tooth and what you should do if you see signs that your tooth is injured. What are the signs of a dead tooth? A dead tooth is a tooth that’s no longer receiving a fresh supply of blood. For many people, discoloration may be one of the first signs of a dying tooth. You may also experience pain in the tooth or gums. Healthy teeth are usually a shade of white, though the color can vary depending on your diet and oral hygiene. For example, if you regularly consume foods that are staining, like coffee, blueberries, or red wine, or smoke, your smile may appear off-white or light yellow. This discoloration will likely be uniform, however. If you have a tooth that’s discolored because it’s dying, it will be a different color than the rest of your teeth. A dying tooth may appear yellow, light brown, gray, or even black. It may look almost as if the tooth is bruised. The discoloration will increase over time as the tooth continues to decay and the nerve dies. If you experience any symptoms of a dying tooth, it’s important to see your dentist right away. 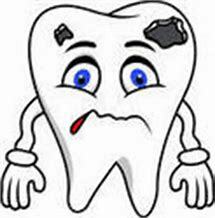 Trauma or injury to your tooth is one possible cause for a tooth to die. For example, getting hit in the mouth with a soccer ball or tripping and hitting your mouth against something can cause your tooth to die. A tooth may die quickly, in a matter of days, or slowly, over several months or years. A tooth can also die as the result of poor dental hygiene. That can lead to cavities, which when left untreated can slowly destroy your tooth. Cavities begin on the enamel, which is the outer protective layer of your tooth. Left untreated, they can slowly eat away at the enamel and eventually reach the pulp. That causes the pulp to become infected, which cuts off blood to the pulp and, eventually, causes it to die. You’ll likely experience intense pain once the decay has reached the pulp. A dying tooth may be identified during a routine dental appointment that includes X-rays. It may also be identified if you see your dentist because of pain or concerns over discoloration. You should always see your dentist following any tooth injury, or if you have any signs of a dying tooth. That way your dentist can begin treatment as soon as possible. It’s important to treat a dying or dead tooth as soon as possible. That’s because left untreated, the bacteria from the dead tooth can spread and lead to the loss of additional teeth. It could also affect your jawbone and gums. Your dentist may treat a dead or dying tooth with a procedure known as a root canal. Alternatively, they may remove the entire tooth. With a root canal, you may be able to keep your tooth intact. During the procedure, the dentist makes an opening into the tooth and then uses small instruments to remove the pulp and clean out the infection. Once all of the infection has been removed, your dentist will fill and seal the roots and place a permanent filling in the small opening. In many cases, you may need to have a crown following a root canal. This may be a good option if the enamel was damaged or if the tooth had a large filling. With time, a tooth that had a root canal can become brittle. That’s why crowns are usually recommended for posterior teeth (due to grinding and chewing). A crown is a covering that’s specifically molded to your tooth. Your dentist will file away part of your existing tooth and then permanently fit the crown over the tooth. A crown can be made to match the color of your surrounding teeth so that it’s not noticeable. If your doctor determines that you don’t need a crown, you may be able to use tooth bleaching to treat any discoloration to the affected tooth. This is usually seen on anterior teeth only. Alternatively, your dentist may recommend covering the tooth with a porcelain veneer. Talk to your doctor about the different aesthetic treatments available. Will it need to be replaced over time? How much will it cost? Will my dental insurance cover it? Will I need to do anything different to take care of the replacement tooth? Avoid hot beverages. They can increase inflammation, which can make your pain worse. Take an over-the-counter anti-inflammatory medication, like ibuprofen (Advil, Motrin). Avoid eating hard things. The force of biting down on them may aggravate the damaged nerves. It’s important to see your dentist right away. Home treatment should not be used in place of professional medical treatment. Instead, you should use these methods while you wait for your appointment. Tooth decay is a scary term. It brings up images of rotting, yellowing and crooked teeth that most of us don’t like to think about. While it takes a lot of decay for teeth to end up like that, tooth decay does have adverse effects on our overall health. According to the National Institute of Dental and Craniofacial Research, 26 percent of adults between the ages of 20 and 64 have some form of tooth decay that has been untreated. When left like this, the decay can spread and cause a much bigger problem than a cavity and simple filling. Cavities can form as early as your first tooth and as late as your last tooth. 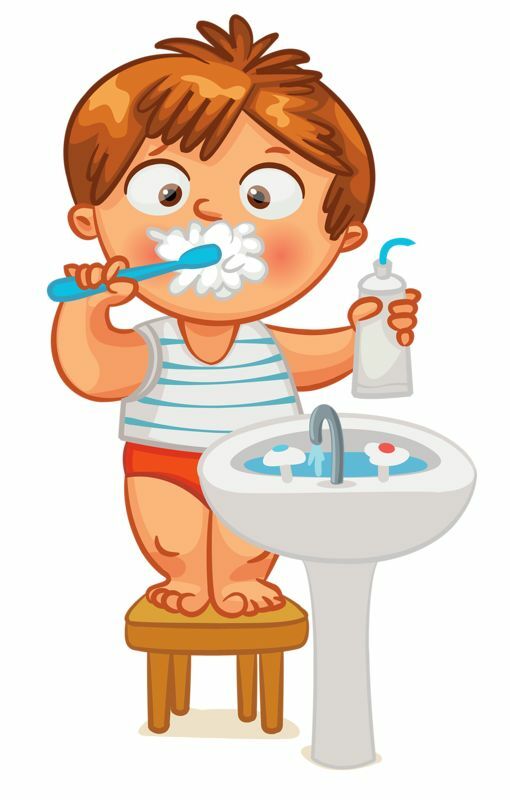 For infant children who are first starting out with teeth, it is important to get them to the dentist within 6 months of their first tooth sprouting. A dentist will keep an eye on their tooth development and help teach you how to care for your infant’s teeth as they progress. On the other hand, more mature patients are seeing an increase in the number of cavities in their teeth. This is oftentimes because of medicines that dry out the saliva in their mouth – and saliva protects the teeth from damaging bacteria. Sugar and other carbohydrates often kick-start acid production from bacteria in your mouth. This acid is what wears down your teeth and their resistance to cavities. Surprisingly, carbohydrates can be found in almost anything but protein – so just take care of your teeth after you eat. Once you have a cavity, the decay can be stopped and the tooth patched – but the decay cannot be reversed. That is why it is so important for you to maintain a good oral hygiene routine. Brushing, flossing and using a mouth rinse will help ensure you are cleaning as much bad bacteria off of your teeth as possible. Regular check-ups at the dentist will help clean any areas you missed (and keep you adjusting your brushing and flossing to account for those missed spaces). In fact, if you wait until you think you have a cavity to sit in the dentist’s chair for a check-up, the decay has oftentimes done more damage than if it was caught when it started at a regular check-up. Dentists have years of training and practice looking for signs of tooth decay in your mouth. Plus, they can really examine every surface of your teeth up close. Experts recommend you visit your dentist at least once every six months for a thorough cleaning and just to be sure there’s nothing that needs to be fixed. Tooth decay can be scary – but it is controllable. With a proper oral hygiene routine practiced regularly, bi-annual check-ups at the dentists and treating cavities right away, your adult teeth can last you a long time without giving you any major problems. If you’re behind on your check-ups, give our office a call today! Bad breath is very common. In fact, about 45% of people have some form of bad breath, according to The Bad Breath Insitute. 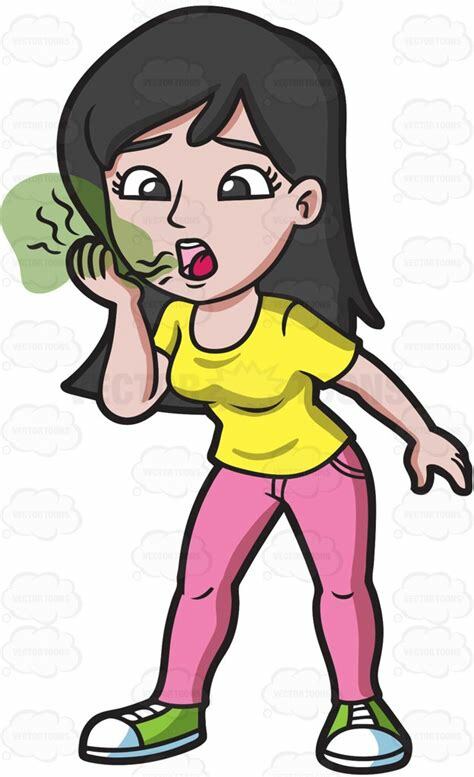 Medically known as halitosis or malodor, bad breath is not a painful condition but it can have severe outcomes. According to most dentists, bad breath can be the result of plaque on your teeth or tongue, stomach problems, tooth decay, and several other conditions. The best way to solve this problem is, of course, to visit a dentist, who will inspect your condition and find the cause. This is important because you can’t get rid of bad breath until you know the real reason for it. Sometimes it’s only due to poor dental hygiene, like not brushing or flossing regularly. Food particles left in the mouth can begin to rot, which causes bad breath and can lead to other serious dental issues as well. According to Statistics from the Journal of Natural Science, Biology, and Medicine, about 90% of the people who have bad breath have it as a result of an oral source, mostly cavities or gum disease, tonsils, and cracked filling. Eating certain foods, such as garlic or onion, can also cause you to have bad breath, but the outcome is usually temporary and nothing to worry about. Other habits, such as smoking and chewing tobacco, can also cause you to have bad breath. The results of those habits can be long-term and you’ll have to quit them to have good breath again. Bad breath can be tough on the people around you. You can’t always be sure if your breath smells good or not because you are used to it. However, people around you can always smell it. Moreover, it can also often be a sign of something more serious. Bad breath can be an indicator of gum issues and other dental problems including cavities. So it’s important that you visit a dentist and get yourself checked to make sure there are no underlying causes. How Can I Tell if My Breath Stinks? As mentioned earlier, you can’t always tell if you have a bad breath. Remember that it is normal to have bad breath in the morning. It usually disappears once you brush. However, if it continues throughout the day then it may be a sign of something serious. If you do not know how your breath smells, but you want to find out, you can ask a trusted friend or your family members for help. It may sound a little disgusting but it’s the best way to know how your breath truly smells. In case you don’t want to ask someone to smell your breath, you can also opt for a self-test. Lick your hand, and then take a whiff. What you smell is your true breath. Blowing air and smelling it will not give you true results. If your breath smells bad, it can be very hard for you to find the cause of it. So, we recommended that you visit a dentist and ask for a professional opinion. We can help you not only find the cause of bad breath but also fight it. We’ll analyze your condition and give you the right tips to help get rid of bad breath. In most cases, improving dental hygiene, changing toothpaste, and using a decent mouthwash can do the trick. However, if your bad breath is due to something serious then another treatment may be recommended.